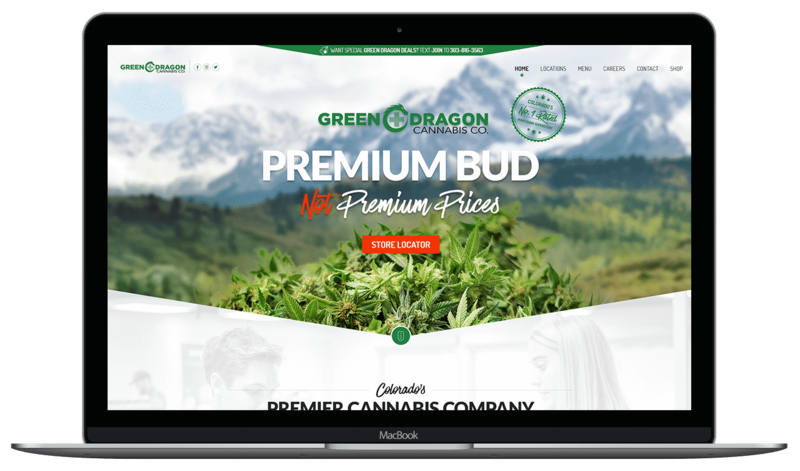 WordPress Website, Green Dragon - NOYO Web Development Inc.
We came to NOYO Web Development looking to rebrand our online marketing and the results speak for themselves; we now have one of the best websites in our industry. Green Dragon Cannabis Company operates 10 locations throughout Colorado, offering top quality products at the best prices. Green Dragon grows in state-of-the-art cultivation facilities. Green Dragon offers a different type of shopping experience from the traditional marijuana dispensary. No high-pressure sales; just great customer service with their friendly, knowledgeable staff. Come in and browse our stores in a relaxed shopping environment.